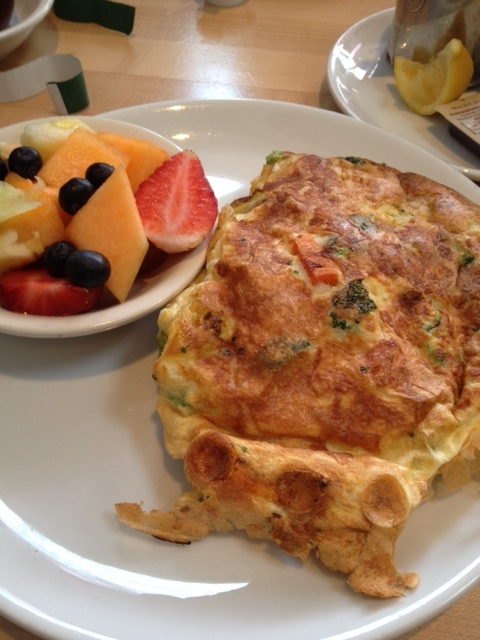 More recently, thought, I’ve tried an egg white, veggie omelet called the big and healthy and fallen hard for it. It contains carrots and broccoli, no cheese which would muck it up, salt and fat-wise. Also no cauliflower, which I dislike but which seems to pop up in omelets at restaurants for some unknown reason. The thing also is massive, served with a side of fresh fruit, it actually fills me up, something most dishes don’t do these days. Clarke’s has a place on Belmont in Chicago too, just down from the Belmont L stop, and it too sells the big and healthy. The Belmont location is pretty run down, likely from high use. The Evanston place was redecorated in the recent past, even to the point of having TVs in the booths in the back room, so I prefer eating there. It’s also closer to home. Thanks Clarke’s. Now how about having a website, I’ve searched and can’t find one for you.